Oxygen acts as a potent upstream signaling molecule to control a plethora of cell functions and cell fates. In three-dimensional (3D) tissues, the oxygen concentration is not uniformly distributed, but rather a gradient that depends on distance from oxygen-carrying blood vessels. During tissue regeneration, development or uncontrolled growth (i.e. tumor), restricted oxygen transport leads to severe hypoxic gradients. In these same tissues, the extracellular matrix (ECM) provides critical support for cell adhesion, proliferation, migration, and morphogenesis. Hydrogels provide a highly controlled 3D environment that is structurally and biomechanically similar to native ECM and can provide a rich biochemical landscape as well as biophysical cues to influence cell behavior. In this talk I will present our recent efforts to develop hydrogel matrices that activate hypoxic signaling pathways and to study how hypoxic signaling induce a myriad of cellular and systemic adaptations. Examples will include interface along stem cell differentiation, vascular assembly and sarcoma metastasis. 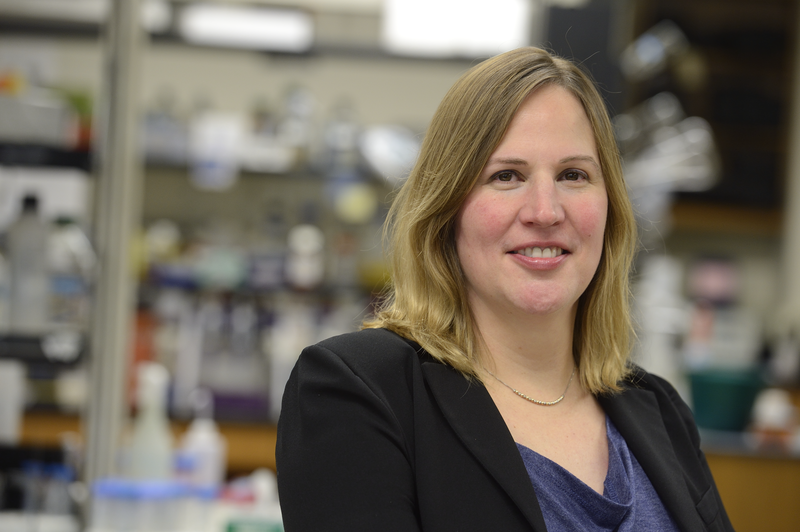 Sharon Gerecht’s research group focuses on the interactions between stem or cancer cells and their microenvironments to engineer artificial niches capable of guiding cellular decisions. The long-term goal of her research is to identify and design therapeutics for regenerative medicine and cancer. Dr. Gerecht earned bachelor’s and doctoral degrees from the Technion - Israel Institute of Technology. Following a postdoctoral training at MIT, she joined Chemical and Biomolecular Engineering at Johns Hopkins in 2007, with a joint appointment in the Department of Materials Science and Engineering. Dr. Gerecht is the recipient of the Allan C. Davis Medal from the Maryland Academy of Sciences (2008), the North America Vascular Biology Organization Junior Investigator Award (2009), the Basil O’Connor Starter Scholar Research Award from the March of Dimes Foundation (2009-2011), the National Scientist Development Award (2008-2012) and Established Investigator Award (2014-2019) both from the American Heart Association, the National Science Foundation CAREER award (2011-2016), the W.W. Smith Charitable Trust Heart award (2014-2017), and the JHU Inaugural President’s Frontier Award (2015). Dr. Gerecht is an elected Fellow of the American Institute for Medical and Biological Engineering (2016). She is the author of more than 140 papers, book chapters, and patents in her field. Dr. Gerecht is a co-founder of Gemstone Biotherapeutics, LLC, a spin-off company based on technologies developed in her lab, focusing on wound healing.